Admit the glitz and pageantry of Super Bowl XLIX, we, at the GoodNewsNotebook, would like to recognize the many charitable efforts of top NFL players. These gentlemen, not only lead on the field of play, but they also lead the league in the game of life. The Walter Payton NFL Man of the Year Award is the only league award that recognizes a player’s off-the-field community service as well as his playing excellence. 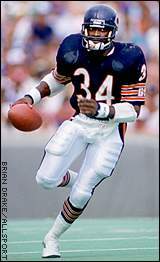 The NFL Man of the Year Award is named for the legendary Chicago Bears running back, Walter Payton, who died in 1999. The 2015 Finalists are Anquan Boldin of the San Francisco 49ers, Thomas Davis of the Carolina Panthers and Aaron Rodgers of the Green Bay Packers. 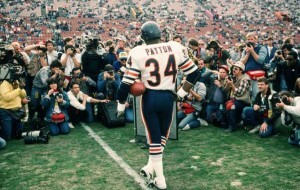 Based on the selected by a distinguished Board which includes Connie Payton, the widow of the late Walter Payton AKA “Sweetness,” the finalists were chosen from among the 32 team nominees for the award, all of whom receive a $5,000 donation from the NFL Foundation and Nationwide to the charity of their choice. The winner will receive a $50,000 donation in his name to a charity of his choice from the NFL Foundation and Nationwide. The two additional finalists will receive $10,000 donations in their names from the NFL Foundation and Nationwide. The Walter & Connie Payton Foundation is about helping abused, neglected & underprivileged children in the State of Illinois. We strive to help boost these children’s self-esteem and give them a reason to believe that tomorrow can be different….. That tomorrow can be better! In addition to programs already in motion, the Walter and Connie Payton Foundation continue to dream. New programs are being initiated to provide children and Veterans with the tools and the opportunities to live their lives with dignity and pride! The task ahead of us is a great challenge.